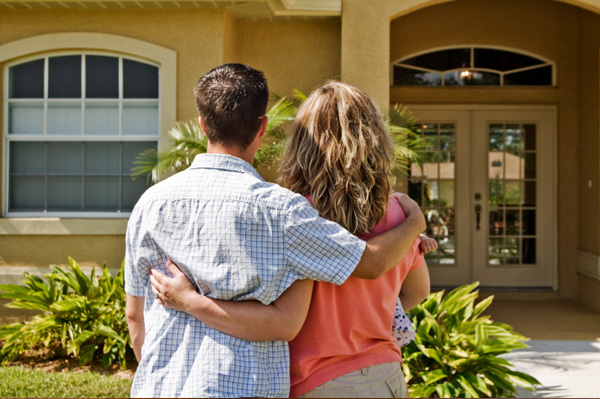 Here’s the dilemma, at the time you bought your current home, it was the right place for your family’s needs. It was the perfect home that fit your finances, located in a great school district, and cozy enough to be relatively low-maintenance. That was three kids and several promotions ago. With the passing of time, you’re wondering where all the space went? Longing for More Room or An Upgraded Home? Like many growing families, that cozy feeling of your current home has gradually drifted into wishing there were more room. You realize it’s time for more space and an upgrade. You figured it’s worth tackling the challenges involved in moving even if it’s just across town. This much we know – it makes no difference if you’re moving across town or across the country, moving is never easy. Plus you have to work through the logistics of selling the home you live in and purchasing a new one, preferably at the same time. That’s when it gets real complicated and you know you need an expert real estate professional who has experience managing two transactions at the same time. Here are some tips we recommend to clients moving into a more expensive home. Before you think about buying a more expensive home (that doesn’t necessarily mean bigger), begin by prioritizing your home buying needs. Things have changed since you last bought your current home, so your needs have changed dramatically. First and foremost, select an experienced real estate professional to help protect your interest and guide you through the real estate transaction. Interview several before making your choice. This is one of the most important decisions you will make during the process. Get loan pre-approval or at least pre-qualified for a mortgage. Make a budget for the total costs of your new home including the funds for the down payment and funds for your transition. Ask your Realtor about the available housing inventory and the type of market your area is experiencing. Get your current home ready for the market. What if you find a new home for yourself before selling your current home? Again ask your experienced Realtor the way to broach this in the offer. This entry was posted in Hoke Blog, Real Estate Blog and tagged checklist for move up buyers, move up buyers, real estate advice for buyers. ← America – The Real Estate Market Is Back!